I am happy to show the cover to one of my favorite authors of her new release Sea Breeze…..
We make a little picnic on the grass, finding a place under the shade of a tree, and Eric takes his button-down off for us to sit on, leaving him in only his undershirt. My, oh my, the man has some nice shoulders. He hands me a can of Medalla Light, this one a lot colder than the one I had earlier today, and we dig in. “So good.” I take another bite of the fried fritter meaty goodness as Eric takes a sip of his beer. I swallow a big bite of my savory pastry and respond. “Did we get any of that…mofongo stuff?” I snag a couple of tostones, expecting sweet, given that they’re fried plantains, but they’re salty. “You know what I mean.” Eric takes another swig of his beer and rolls his shoulders. “Yes. But I also know that I’ll come back to Puerto Rico. There’s too much to see and do, not to come back.” I finish the last bite of my meat fritter, and survey the food we still have left. Eric quiets, staring at his skewer. I pick up the last pincho and start biting off deliciously grilled pieces of chicken. “Do you have—” The sound of drums right behind us interrupts Eric and almost makes me drop my chicken. We both stand at the same time and gather our trash, placing it in the can a few feet away. I fold the rest of the fried plantains up in a napkin and place them in my bag. We take our beers around to the other side of the grass to watch and listen. The call and answer of the drums and the man’s voice causes me to sway as I stand there listening. A crowd gathers, and I’m completely captivated. “We’re going to have to start heading back soon.” Eric’s voice in my ear gives rise to a shudder that runs through me. Maybe it’s the heat and the beer, although I’ve only had two. Or maybe it’s this music, almost spiritual, yet extremely sensual. Whatever it is, the sound of his masculine voice in my ear makes my stomach flip. I look up at him as the drummers continue their intoxicating rhythm. He stands so close to me, his shirt slung over one shoulder. His focus is on the musicians, but when he takes a sip of his beer, he catches me staring, and his hand lowers to his side. Our gazes lock for exactly sixteen seconds, the drum beats keeping count. Sixteen seconds of blood pumping through my veins. Sixteen seconds of his gaze scrutinizing mine and then shifting down to my lips. Sixteen seconds of wondering what his chest would feel like against my bare breasts. “It’s getting late, Jordan.” It’s only a murmur, and there’s no way I should’ve heard him, so I must be reading his lips. He has nice lips. He breaks eye contact and looks out over my head. We’re surrounded by people. He wraps his fingers around my forearm and gently tugs me behind him and through the crowd. My other hand easily finds his back, and I use it as a guide to follow him out. “Actually, I need to be back and ready for work in forty-five minutes. My boss wants me to fill in at Allure tonight, and I still need to get back, shower, and change. Come on.” Eric holds out his hand, and we push through the crowd. Who doesn’t like a Giveaways? 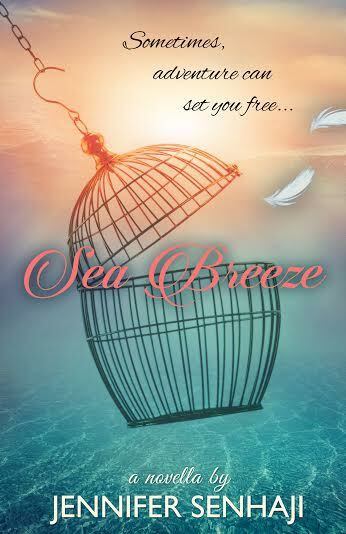 Win an eBook copy of Sea Breeze and a $5 Amazon gift card from PageCurl Publishing and Promotion. Leave a blog comment with your idea of a dream vacation to be entered to win. Winner will be announced on PageCurl’s Facebook page this Friday! I was born and raised in San Francisco, CA, and have a husband and two children. Music is an addiction. I can often be found in the car, singing along at the top of my lungs to whatever is playing. 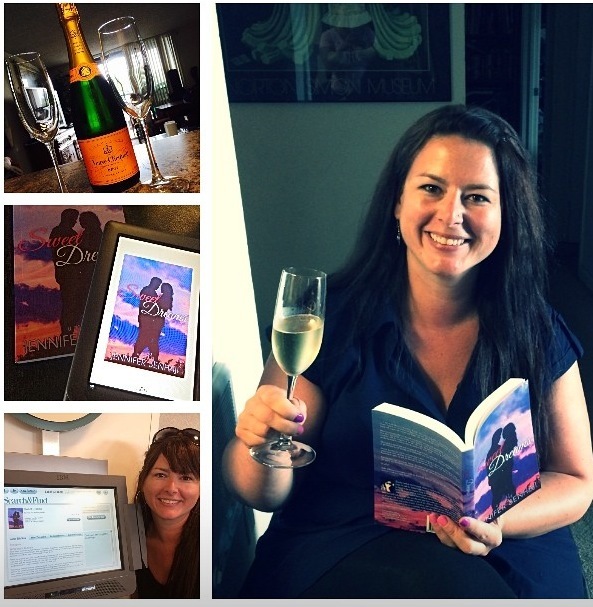 I work full time, and I split my spare time between family, reading, blogging, and writing. I’m a habitual quoter. Lines from films and TV shows constantly pop into my head—my kids are the only ones that really get it. I’m an only child, and so of course I married a man who is one of ten children. Other than English, I speak Spanish, Moroccan, and a little French. I love to travel, but don’t do enough of it. Reading has been a passion for most of my life and I now love writing. I’m klutz, and in my own mind, I’m hilarious.